The singer from rock band Oversoul hit the stage in an acoustic set last night to promote her upcoming solo EP at Station Unplugged, courtesy of the W hotel in Hollywood. Based in San Diego, Alexa Villa, known on the music scene as “Alexa”, is a singer-songwriter, talented pianist, and model. The young artist spends her time between San Diego, where her band Oversoul is based, and LA where she ventures for meetings, shows, and model calls (LA Fashion Week and the spread of Women’s Wear Daily, to name a few). Last night, Alexa left her band at home, calling only on the guitar and background vocal talents of her brother, Ryan, also a member of Oversoul, to accompany her in her first solo show in Los Angeles in a while. Promoting her upcoming EP (release date TBA), Alexa appeared behind a full weighted keyboard, armed with black leather and spidery fish-netted legs that mean business. Her rock background was apparent, but if the audience thought her looks were stunning, they soon found that there is more to Alexa than meets the eye. The moment Alexa starts singing, the world stops to listen. The 20 year old’s wailing, powerhouse vocals, perfect for the rock scene, are surprisingly well-suited for her own compositions, which detail the power struggle in relationships and the sometimes difficult task of accepting things the way they are. Alexa’s chant sections bring the listener to the party, while her chromatic melodies catch us off-guard, showcasing her musical expertise. Alexa highlighted the show with the leaked track from her upcoming EP, “Do What You Do To Me” – a playful number, if not somewhat masochistic, as love almost always is. Joining the ranks of popular rock voices Amy Lee (Evanescence) and Hayley Williams (Paramore), Alexa’s vocals soared from rock party song to the intense solo ballad, “Hope”, which was recently recorded at the legendary Jungle Room studios in LA. With a voice built to fill out larger venues, it is no wonder Alexa is finding success in the rock world as front woman of Oversoul, but she also has the important ability to stand alone, without the support of a rock band behind her. As her vocals brought people pouring into the popular night spot from the train station and the street, catching mere musical phrases and wanting more, it became clear that Alexa’s solo venture has just as much promise as her rock career, if not more. This young lady has it all – the look, the voice, the writing ability, the musical talent. The only way to describe Alexa: simply stunning. 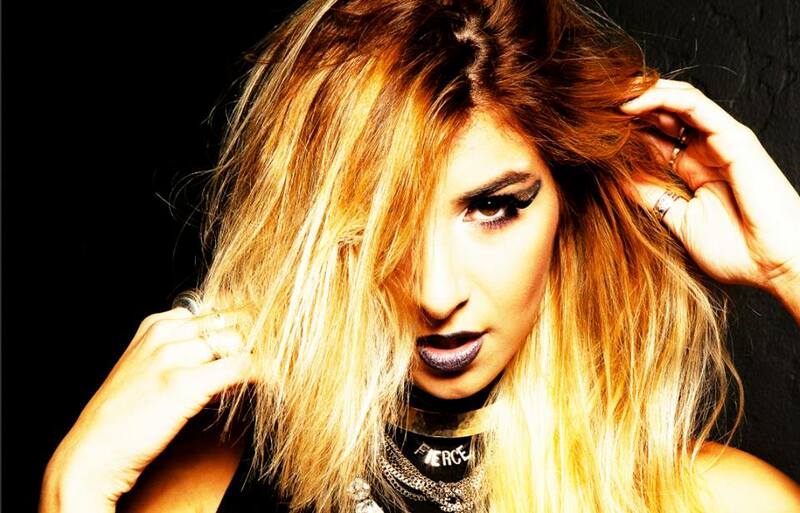 Alexa’s new track “Picture Perfect” has gained critical acclaim and airplay in San Diego. You can catch Alexa at a free show at The House of Blues – San Diego on August 5th, at 8pm. For more on Alexa, and to stay up to date on her solo EP release and shows in Los Angeles, follow her on instagram and twitter @thealexavilla, find her on Facebook, and listen to her music on soundcloud. Arizona singer/songwriter Savannah May dropped her new R&B single “Maybe If I” this past week, and it has been on replay in the Dorman household since its release. The chill, vibe-y production (courtesy of producer “lunatix”) is itself a great sell, but the lyrics are what makes this single a buzz-worthy song. The track brings listeners into the mind of the troubled half of a failing relationship, a place most of us have known at one time or another. Savannah May asks the questions of herself: “Maybe if I…” fill in the blank. The underlying question is, how do I make this person love me? The soulful chorus brings us to the realization that this person will just never love the singer, and that being true to ourselves is the most important thing at the end of the day. The smoothness of the track contradicts with the pleading, confused lyrics, but bringing everything together, the song does exactly what it’s supposed to: it reflects the ironic and tumultuous ebb and flow of romantic relationships. 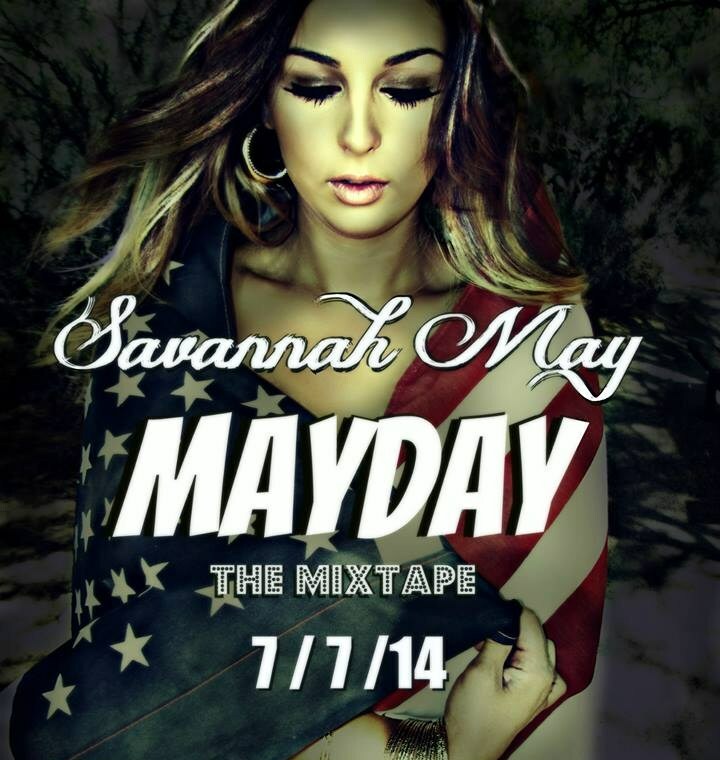 The perfect song for a summer drive, “Maybe If I” is available for free download at Savannah May’s SoundCloud, as a teaser to her mixtape MAYDAY, which will be released July 7th, 2014, in time for her southwest tour (dates TBA). For more on Savannah May, join her 40,000+ combined followers on Instagram @SavannahMayMusic and twitter @SavannahMayMuzc, and don’t forget to head over to her official Facebook page and show your support! The line was out the door and down the block for the international sensation, Bernhoft, last night in Los Angeles. Where West Hollywood ends and Beverly Hills begins, there is a gem of a venue known as The Troubadour, where hundreds filled the sidewalks waiting for their chance to witness what many had only witnessed on YouTube. Jarle Bernhoft, known on the music scene as “Bernhoft”, won worldwide attention when he posted a video of his original composition “Cmon Talk” on YouTube in 2011. Singer, songwriter, and multi-instrumentalist from Norway, Bernhoft’s one-man show has garnered almost 4 million views on this video alone. The floor of the Troubadour was packed with trendy youth by the time A2D: According to Drea veteran Brandyn Burnette reached the stage to perform songs from his upcoming EP “The Couch Surfing Chronicles” (to be released Fall 2014 by Warner Brothers Records). Burnette expertly set the tone of the show, leaving the audience primed for more outstanding music. When it was time for Bernhoft to take the stage, the lights dimmed, and a chant from the crowd arose: “Bernhoft! Bernhoft! 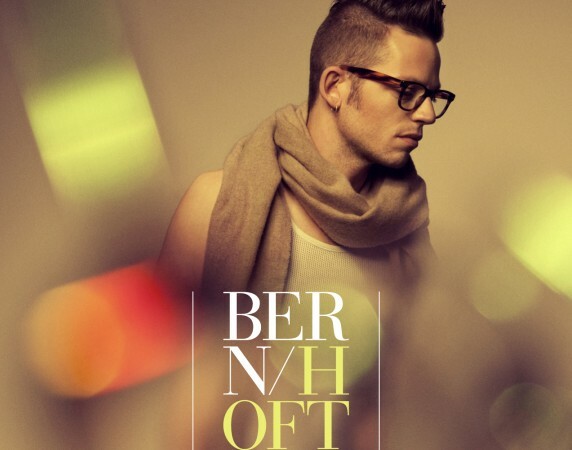 Bernhoft!”, and out came the performer in his signature hipster glasses that YouTube fans have come to adore. Dressed in black jeans and a plain, black cotton shirt, Bernhoft presented himself with the attitude that his music was the focal point of the show, and encouraged the audience to pay full attention to his musical lineup. Seated atop a mini-stage, surrounded by two keyboards, two acoustic guitars, a ukulele, two microphones, soundboards, and a number of pedals, Bernhoft began his set with his new song “Wind You Up”, which released in funky music video form last month. Reminiscent of the style of two-time Grammy award nominee Imogen Heap, who also is known for her live mixing performances, Bernhoft blasted through his set with charm and pristine execution. His vocal range, bluesy guitar solos, and mixing precision left the crowd amazed, while the artist’s beats and lyrics set the audience into constant motion. “Cmon Talk” of course came out the crowd favorite, but Bernhoft’s acoustic performances of “Hold On” and “Stay With Me”, performed on guitar and keys, respectively, brought a hush in the room that spoke of the captivating elements of Bernhoft’s performance. Whether mixed in great detail or stripped down, Bernhoft’s songs have the strong musical foundation to stand on their own, and imprint themselves in the minds and hearts of all who listen. Bernhoft’s new album “Islander” will be available in the US on June 23rd. A special preview of the album is available exclusively at USAToday.com. For more on Bernhoft, and for links to his social media, please visit www.bernhoft.org. Check out “Cmon Talk“, the video that made Bernhoft a YouTube sensation. The creative music group Track Martians, based in Studio City, CA, released their much anticipated debut single today, featuring Track Martians First Lady, Anjaleia McDonald. The group has labeled this single as a song that will raise the bar for the R&B standards in the industry, pushing the hashtag #HelpBringR&BBack. Produced by Track Martians super producer GXMusic, the club beats mixed with live band sounds brings the listener back to a time when live R&B music was first running rampant in the major American cities. Flowing lyrics and vocal harmonies meet guitar riffs and brass lines, cascading together to the catchy hook that every scorned woman will raise their glass to and make their own personal freedom anthem. Clear that first spot on your iPod and make room for Track Martians. The track is groovy, catchy, feel good, and yet incredibly sassy. From the musicality to the rap section to Anjaleia’s powerful vocals, “Ain’t Got Time” is a single very much worth your time. To purchase “Ain’t Got Time”, head to https://itunes.apple.com/us/album/aint-got-time-feat.-anjaleia/id885873999. 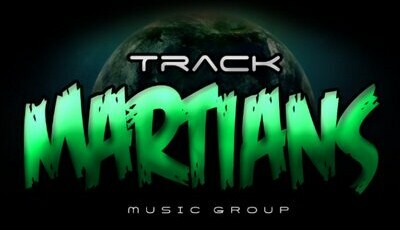 For more on Track Martians Music Group and for links to their social media, visit their website at www.trackmartians.com. Remember SIKORA? The Los Angeles duo launched their debut EP “Ecliptic” last month, and this morning, they surprised us all by dropping their beautifully visualized video for one of the songs off their EP, “Halo”. The video stars Matthew Sikora and Liz Forde in a glamorous take of what could easily be mistaken for a set from the hit show “Breaking Bad”. While Sikora belts out emotionally charged phrases from behind his flashing electric guitar, Forde sparkles in front of the camera with her refreshing vocals and equally stunning appearance on screen. The music video takes us on a journey of the artists looking for their “halos”, from desert to ocean. The entire video is expertly conceptualized and woven together by director Dima Otvertchenko. 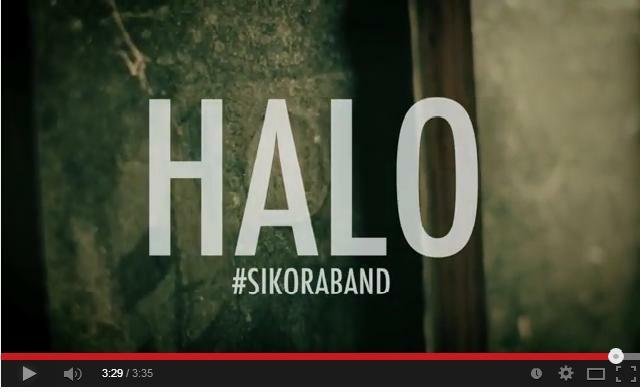 From the broader story line to the minute details, this video was a great success in bringing the song “Halo” to life. For more on SIKORA and to purchase “Ecliptic”, visit www.sikoraband.com. This morning, Shannon Hurley released her newest creative venture: a delightful and cheeky music video to her inspirational song, “Shape of Things to Come”. The video captures the playful and hopeful essence of the song, while showcasing some of the most famous sights in Los Angeles, CA. Hurley, originally from Indiana, has made Los Angeles her home since 2001, and this music video is a beautiful homage to the city that has helped her grow into the artist she is today. Viewers are captivated from the beginning, as a perky Hurley waltzes across the screen to the front of a theater with her name in lights, carrying a lime green step stool. The stool is quickly followed by a toy piano, upon which Hurley proceeds to play one singular black note in repetition as the song begins. From here, the viewer is brought on a journey (with the toy piano) through Los Angeles, from the Hollywood sign to the house where the popular TV show Charmed was filmed to the luxurious Westin Bonaventure hotel in downtown LA. Any lover of California will be warmed by the sight of their favorite spots, the places that have made Los Angeles a sought after tourist destination for years. Hurley brings a great friendliness and cheer to the screen, which reflects the warm, encouraging tones of the song that inspired the video. “Shape of Things to Come” is the perfect anthem for the California dreamer, and the newly released music video is a superlative example of the affection for our city that Angelenos fondly refer to as, “Cali Love”. Shannon Hurley’s music has been heard in department stores and restaurants worldwide, as well as on popular television shows like 90210, So You Think You Can Dance, and American Idol. For more on Shannon Hurley, and for links to her social media, visit www.shannonhurley.com. I actually wasn’t really interested in music to begin with, even though I grew up in a musical family. My sister was an amazing singer, and my dad was an artist on Capitol Records. But when my grandmother gave me my first keyboard at age 7, I learned the entire song bank by ear. When I was 13, I wrote my first song about my sister going away to college; that’s when I unlocked something inside of me. In high school, friends would be partying and I’d be on my keyboard for 8 hours. Everything changed when I got a full ride to NYU for theater. I auditioned on a whim and got into their program. But I can’t dance, and you’re essentially preparing yourself for Broadway in that program, so in the middle of a ballet class I said “screw this”, I’m gonna be an artist. I felt like it was a universal moment that said “I can do this now”, and I knew I didn’t want to go down the musical theater route; it just clicked. I walked out of that ballet class and went straight to student affairs and took a leave of absence. As I pursued music, I couch surfed with my friends in NYC, figuring out my next steps. 6 months turned into a year, and I traveled everywhere from Oslo, Norway to LA for meetings with publishers and record labels. I eventually signed with Warner Brothers. Several years and a few couches after that ballet class at NYU, this is where I am now. My first single “Thanks For Nothing” is finally out, and I feel like within my experiences and exposure to a variety of musical sounds, I’ve found a way to do my own thing and keep that young 13-year-old in the room feel about my music. What is your favorite part about your life as it is today? I woke up this morning to a text from my friend saying, “I heard your music in the mall” in the UK. For me to be signed for this long and feel like I’ve had this song in production for years, it’s great to see “Thanks For Nothing” get the circulation it deserves. You never really know what a label does for artists as far as exposure until it happens. The possibility of hearing the song outside of my own phone/headphones/car is so exciting, I can’t believe it. I got signed and my music got released – those are the dreams. You just spent several weeks in Scandinavia. What can you tell us about your trip? When I left NYU and went to Norway for the first time, it was because my manager had another artist over there. The publishing company I met with then is still involved in my career today, which is why I went back. My deal with Sony/ATV flew us out to Sweden for 7 days, and then on to Norway to continue building my radio profile. I’m trying to really establish myself as a songwriter in the down time between releases, and in Scandinavia I explored writing in many styles, from R&B to house to indie folk. Is there anything you would have done differently on your journey? I wish I had never stopped acting. There was something special that those theatrical moments brought to my music. Being onstage is extremely emotive and inspirational. I feel like if I were to practice acting even more now I could tap into that for my record. I really miss it. Patience. My journey has been so unconventional. People could call it wasting time, but those couch surfing moments were a part of making me, me. You’re always evolving and I think success can be a hindrance that keeps you from getting to the next level. Having patience and remembering to enjoy what you do – that is success right there. There’s such beauty in feeling that every day is a success. What are some of your end goals? I want to travel the world and perform. Music videos and studios are so much fun, creating the song is great, but if I can’t deliver it live there’s no point. I’ve never been comfortable just being a songwriter – performing the songs is such a great payoff, you’re reliving that moment. I also want to do film and television earlier rather than later, because I want people to know that my artistry is 360. And I want to put my mom in a house. She’s supported me so much, 9-5. I would love to be able to take care of my family at this point. What piece of advice would you give to fellow aspiring artists? Don’t give up. Know how good you are, because lots of people have opinions in the industry. If I listened to every one I don’t think I would have gotten to the point where I feel comfortable enough to unlock my potential. I feel its very intimidating to do something with your life when people are telling you “no”. I didn’t let anything discourage me. I think that even trying in the first place is so important. After that, persistence is key. The lyric video for “Thanks For Nothing” will come out very soon, with the official music video to follow. As a songwriter, Burnette also has singles for other artists coming out in the near future. His 6-song EP “The Couch Surfing Chronicles” is slated to release Fall 2014. You can catch Brandyn at Hotel Cafe in Hollywood every two weeks, with the next show on Tuesday, June 10th, at 9pm. You can purchase Brandyn’s new single “Thanks For Nothing” at https://itunes.apple.com/us/album/thanks-for-nothing/id881336801?i=881336827. For more on Brandyn Burnette, and for links to his social media, head to www.brandynburnette.com.